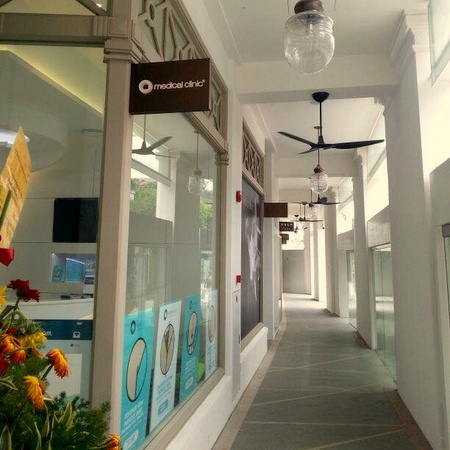 Medical laser and aesthetics clinic O Medical Clinic has four locations in Singapore, including one within Capitol Piazza (15 Stamford Road). O Medical Clinics are part of the ONLY Group, one of Singapore’s leading companies in the aesthetics industry. Each of the clinics offers a range of advanced treatments for the face, skin, and body. O Medical Clinics are equipped with clinically proven and FDA-approved technologies, which are used safely and to the patients satisfaction by a team of accredited medical doctors and medically trained aestheticians. Over the years, the clinics have been favorites of the media, Singaporean celebrities, influencers, and other customers for painless hair removals, cosmetic dermatology treatments, body slimming and contouring, and other core services. For the face, the range of treatments include botox, chemical peels, Exilis treatments, fillers, fractional laser treatments, laser treatments, scar removals, SilkPeel Dermalinfusion treatments, skin booster fillers, SMASLIFT treatments, and V-Face contour treatments. Body treatments, meanwhile, feature COOLSCULPTING, hair removal, labia remodelling & tightening, laser bust enhancement, legacy body contouring, Liposonix treatments, body scar removals, stretch mark treatments, tattoo laser removals, VAJACIAL treatments, Vanquish treatments, as well as ZERONA treatments. O Medical Clinic has an official Facebook page, which is available at www.facebook.com/onlyclinicsingapore. The Facebook page is a great resource for learning more about the available treatments and the clinics in general.